Greetings! Welcome back. Today, we’ve got a few things to cover, including the recent hotfix update, SDCC plans, and more. Let’s jump in! Since the Warzone Firefight release, teams at the studio have not only been reviewing feedback, but also hard at work on a hotfix that we released just this morning. 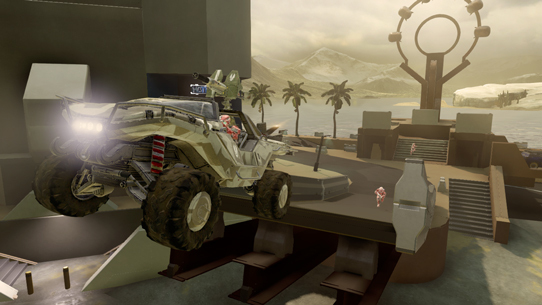 The update tackles Warzone Firefight objective adjustments as well as a fix for the Tidal lighting. In case you missed the details earlier today, here are the quick patch notes as well as lines from devs David Ellis and Tom French. During the Warzone Firefight beta earlier this year, you generated an almost incalculable amount of data from your in-game efforts on Escape from A.R.C. In that short period of time we had more coverage on that map and those objectives than the entire development of the mode to that point. For that, we thank you. Your efforts helped make Warzone Firefight a better experience for everyone. Now that the full release across six maps is out, the amount of data you’re generating has grown exponentially. In general, we’re pleased with what we’ve seen regarding the conquering of those pesky AI foes. However, that data, alongside feedback gathered from a variety of internet locales and social media, helped us identify a few objectives that were not playing at a difficulty appropriate to the round where they exist. 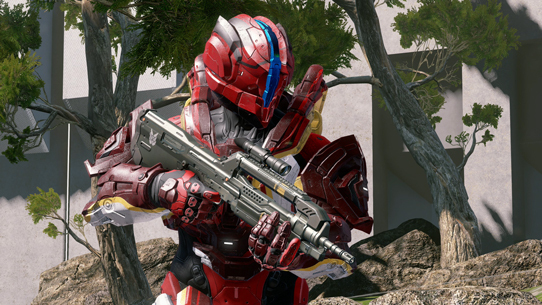 Below you’ll see a more complete list of the changes you can expect to find in our new hotfix in Halo 5: Guardians. Please note, there are some additional under the hood changes in this release that should improve your in-game experience now and help set up further updates as we continue to fine-tune Warzone Firefight in the future. For Forge our focus was fixing the light bake (generating lighting) issue on Tidal. Ironically enough, the issue arose in relation to a change we made in how we structure the map internally – a change that we thought would actually optimize the map a bit more. Unfortunately, it actually ended up causing everything in the sky box to re-light bake unnecessarily, resulting in drastically increased bake times. This new hotfix should address these issues and immediately improve players’ Forging experience on Tidal. There’s more on the way, but we wanted to make sure these were taken care of right away. If you haven’t logged in just yet, you’ve got a hotfix waiting for you. Jump in and play! Before we move on, a brief note on playlist plans. The multiplayer team has been keeping a close eye on Community Doubles feedback, and currently working on Doubles-ready dev maps as well. Over the course of the next two weeks, we’ll be working directly with community Forgers on improvements to the maps, and then holding a poll to determine which of the community-created maps will be included with the dev maps in the next iteration of Doubles. Stay tuned for more details and related info. New and returning experience are also on the way – the team has been keeping an eye on feedback regarding playlist wishes, as well as the hunger for the return of Super Fiesta. You can be certain that we’ll be talking more about these in the near future. And now, I hand things over to Grim who has been dying to talk about San Diego Comic-Con and more. Go ahead, Grim. Now is finally the time. Hey folks! Welcome to another edition of Canon Fod- wait, where am I again? Ahh, yes that’s right… do not adjust your blog dials, we are controlling the transmission. Like game development itself, almost everything we do here at 343 is of a cyclical nature – everything has a season; “time and place” and all. Many of you will remember that at its inception, Canon Fodder actually began life within the Community Update back in 2014 (holy cow!) before quickly moving out onto its own to meet the heavy Halo lore load that came to bear over the past nineteen or so months. With that in mind, Canon Fodder is re-docking with the Community Update mothership while we stoke the fires of new narrative engines and begin the process of crafting Halo’s next adventures and mysteries. But the Fodder-faithful should fear not, for we’ll still be bringing regular doses of fiction fun, both within and without these pages. In fact, we’ve got some awesome things to talk about right now – things that should make story fans excited for what the future holds. Let’s dive right in! Every year, ravenous hordes of geek-culture citizens descend upon southern California to take part in a time-honored tradition called the San Diego Comic-Con. Historically, the hallowed halls of SDCC have yielded bountiful harvests for Halo fans, particularly from a story-building perspective. For lore nuts out there crossing their Mjolnir-clad fingers in hopes the trend continues, now would be the time to rejoice, as we’ll be bringing a delightful assortment of Halo happiness for fans to partake in. Let’s grab a quick taste of what will be in store if you happen to be wandering the Comic-Con floor, and make sure you stay tuned early next week for more details. Our friends at Mattel will be hosting a dedicated Halo section within their impressive show floor booth, showcasing 6” figures, 12” figures, RC, Blasters, MEGA Bloks, and Hot Wheels, the SDCC Exclusive 6” Helioskrill Action Figure, and some exciting reveals from MEGA Bloks! Entertainment Earth will have the Toys R Us-Exclusive BOOMco Brute Spiker – Atriox Edition. The SDCC-Exclusive – and Grim-favorite – Temple Banshee 5” Replica will be on sale at Dark Horse booth. From Square Enix, to Bioworld, Kotobukiya, and more – we will have a variety of awesome Halo products for show and for sale on the show floor. Come meet artist Dave Crosland, Tyler Jeffers, Frank O’Connor, Jon Goff, and artist John Wayshak! No doubt the biggest circles on your Comic-Con calendar will be those involving Halo panel participation, particularly our Halo Wars 2 panel, “Know Your Enemy” – a must-attend for story fans. In addition, our very own Frank O’Connor will be joining our friends at Dark Horse Comics to talk about the Halo franchise and maybe even offer a knowledge nugget or two on the upcoming Halo: Tales from Slipspace graphic novel anthology. With Dark Horse, video game franchises found a foothold in comics. With a line of video game-related comics and deluxe art books, including the bestselling World of Warcraft: Chronicle, the publisher now works with the biggest studios and brands in the business. Dark Horse editor Ian Tucker is joined by representatives from DICE, 343 Industries (Frank O’Connor), Microsoft, Blizzard, and BioWare for news and announcements on all your favorite video game tie-ins! Fractured Ward is powerful AI construct, created by the long-vanished Forerunners to aid warriors on the battlefield. While assisting in the defense of a vital teleportation array, Fractured Ward was thought lost in the facility's catastrophic destruction. The battle against Gargos has widened the cracks between worlds, releasing Fractured Ward from eons of lonely wandering in a crumbling refuge hidden between dimensions. Built to defend and protect thinking life, Fractured Ward has identified this planet's heroes and works with them to heal breaches in reality caused by demonic incursions. In gameplay, Fractured Ward will imbue the player with extra layers of defense to protect them against Gargos and his minions. Our good friend Rukari (who your friendly neighborhood Grim recently played Warzone Firefight with on Microsoft Studios’ Game W/ Fame stream), Community Manager for Killer Instinct, was kind enough to provide this sneak look at how Fractured Ward looks in-game. Check it out and keep your fight sticks warm – we’d love to see some awesome Halo team-ups with Arbiter and Fractured Ward when their Shadow Lords mode hits this September 20 on Xbox One. One of Halo’s awesome community members, PrimalWeyland, is a high-ranking Spartan in the legendary 405th Infantry Division. Primal reached out to us with a request for 343 input to ensure their official costume guidelines more accurately reflect the canonical representations of various armor and prop elements. We took some of the questions asked and thought that it might be fun to answer them for a wider audience, in case it clarifies questions that other fans might be having as well. 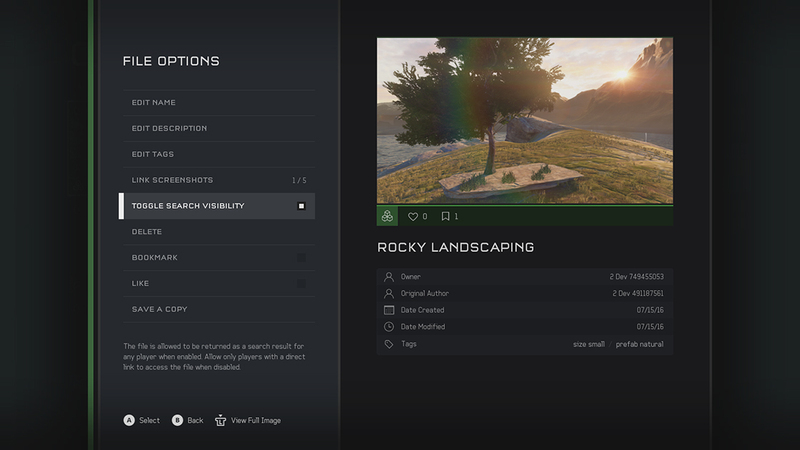 In addition, we’ll be offering some reference assets in the near future specifically aimed at helping community cosplayers looking to get their Halo on, so stay tuned on that front. Grim: Just because an armor that was in Halo 4 didn’t necessarily show up as an option in Halo 5: Guardians doesn’t mean that it isn’t still a perfectly viable option available to Spartans, depending on the nature of their specific mission parameters. Also, thanks to GEN2 Mjolnir’s more modular design framework, it should be a safe assumption that any GEN2 variant you see would be compatible with the standard techsuits in either game. Also remember that Blue Team and Fireteam Osiris also utilized different techsuits themselves, further proving the versatility of the platform. 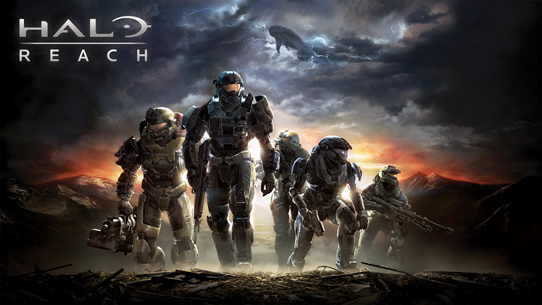 Grim: The aforementioned detachment may rejoice in the continued exploding of their fists – as above, armor variants that appeared in Halo 4 should still be assumed to be viable and in-production, whether or not the appeared as selectable in Halo 5. Grim: It would be unwise to assume that the games themselves are only able to showcase a slice of customization options that would likely be available to Spartans canonically, whether those modifications pertain to personal style (a unit emblem perhaps), or to fit a specific mission objective (like a specific type of camo). Spartans of the 405th should be encouraged to showcase a range of personalization adorning their self-made Mjolnir. Grim: Again, feature-specific peculiarities of an individual game title doesn’t necessarily have to translate to a hard canonical delineation. Cosplayers should feel comfortable to mix and match to their preference. Except SEEKER. That’s just weird. Grim: While not all GEN1 armor variants have been fully transitioned onto the GEN2 platform, fans shouldn’t feel limited in their cosplay choices. 405th: Would using alternately-colored visors be permissible even if using an “older” GEN1 variant? Grim: It’s certainly not out of the realm of possibility that an older GEN1 variant could be modified or adapted to take advantage of a newer VISR system implementation. So yes, you could use alternately colored visors. Back in April, we kicked off a pretty awesome hackathon contest to celebrate some of the incredible and creative ways our community continues to leverage our public API for Halo 5. After much trial and deliberation, the final votes have been tallied with nary a hanging chad. Rather than just tell you the winners myself, I figured I’d let 343 Industries' API master Tamar Goldberg do the honors. Take it away, Tamar! Thanks so much Tamar! Now we kick it back to Bravo with the weather. Until next time… Live well, play Halo, and don’t picnic. Thanks, Grim. Next up, the great trail of Forge breadcrumbs continues. This week, Tom and team are back with a new screenshot for you. As has become tradition, it is presented without comment. Next week, I am quite excited to head to the UK to join Britain’s finest cast and crew for the Halo Championship Series EU Summer Season Finals. Europe’s first official season has been a wild ride, and it is sure to culminate in an epic final. To get you ready for the event, I grabbed my dear friend and colleague (in that order) Richard Simms. Take it away, Simms. We finally have our top 4 teams, and honestly, it's not the top 4 I expected. I think it's fair to say everyone expected Dinosaurs to be at the Summer Finals, rather than facing down the barrel of a Magnum in relegation. After a reverse sweeping their former teammates on the side XMEN, Dinosaurs took a side step, loosing six games in a row and only taking five maps in total for the remainder of the season. As we approached the very last day (it really did come down to the wire) Vibe, in one of the most stand out performances of the season, turned on beast mode and took down XMEN which in turn knocked Dinosaurs into relegation. Septiq has been a god amongst men since his return to the competitive EU scene, and even after losing Ramirez to XMEN, along with Speed's retirement at the begging of the season, Vibe are going to the sta.. (oops, wrong event) Season Finals! The next thing I have to cover is Mose & Respectful, as they have been waiting for their time for quite some time. They flopped at Insomnia, failed to qualify for the HCS Season 1 Finals last year, hit a wall with age restrictions during the Halo 4 Global Championship, and of course committed the biggest failure in European Halo history with Dignitas’ collapse during Halo World Championship qualifying. These guys (and more primarily Respectful) have had a hard run, but they are still here, and they are still grinding. For many years, Respectful & Mose have been called Online Warriors (hence the name). Back during Halo 4, I myself would even moan about how difficult they are to take down online, but the movement and individual skill of these two is far above and beyond anyone in EU right now. This is the event they need to win to prove that. If they don't win these EU finals, I can't imagine how they’d feel. This is do or die, time to prove, time to show that they are the best. I'm glad they are collected players, because the pressure for them to perform has never been greater. One thing stands out with these two teams, and it is that they sit on opposite sides of the spectrum in terms of event experience. Jimbo, Chalkie, Snipedrone, and Ramirez. These guys are 7/8/9/10-time European champions respectively, and the gentlemen on Team Infused have yet to win an event. Now, that's not say Infused are going to get pushed aside in any way. Ramirez is one of the most respected players of the EU community, and even he said in one of the Pro League interviews that people would be stupid to say these guys aren't capable of great things. Infused is a young, hungry, and very aggressive team, but we've seen them get down on themselves in Pro League, and things start to spiral out of control. If they can slow things down and stay calm, they could quite easily outplay some of the bigger teams. Xmen is just simply Xmen, Jimdrone and Chalkirez. (Bravo note: is that the official duo name? Questionable.) Two pairs of players that equals one nasty roster. They are event winners, they are champions. A few things have gone wrong for the roster during Pro League, but with the addition of Ramirez the improvements have been vast. Can they gain speed and take down U4X? That, my friends, is the biggest question of the EU Summer Finals! This week, we’re shining the spotlight on an impressive map that popped up on YouTube yesterday – it’s Excalibur from t0astman. Whomever is worthy to wield this weapon will be unstoppable. They will be King. 8 - 12 Players. Over 200 hours of work, and this is what I have to show for it. Excalibur is my labor of love in Halo 5: Guardians Forge. It is a next generation planetary laser cannon that makes Cairo stations' MAC gun look like a BOOMCO dart blaster. Traverse the outer structure of this mega-weapon and get a glimpse into a small portion of its' inner workings. There are traps to be triggered, Spartans to be killed, and weapons to be won! This map supports Slayer for which it was initially built, but also supports CTF, Neutral CTF, Strongholds, Infection, Assault and Oddball. In this week’s Play of the Week, canecutter from HBO gets a Killionaire on Antifreeze. Pull! That will do for this week, friends. The Community Update will take a break next week due to the traveling back and forth from Europe, but will return on 7/29, just before the North American finals, with the latest news. Between now and then, though, you can be sure that we’ll have some other things we want to share with you on Waypoint and Twitter.